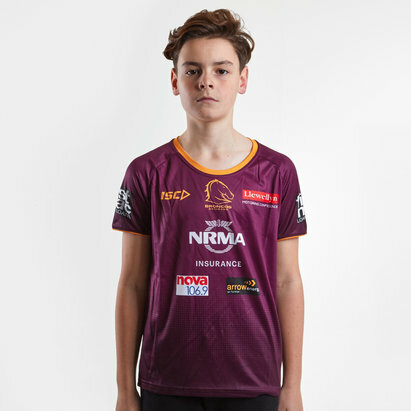 Cheer on the Broncos in the 2019 NRL with the Brisbane Broncos NRL 2019 Players Rugby Training Singlet from ISC. 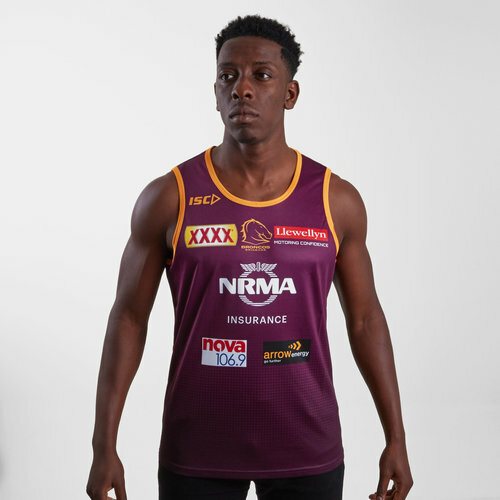 This training singlet is predominantly a mulberry colour, a similar shade to the maroon used on the shorts and shirt. Sticking with tradition this singlet is finished with gold trimming. 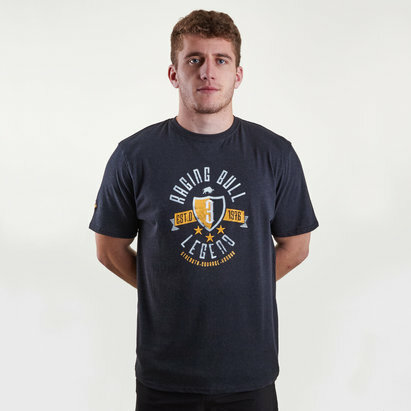 The ISC logo has been added to the right shoulder whilst the club badge is in the middle f the shirt just under the round neck collar. 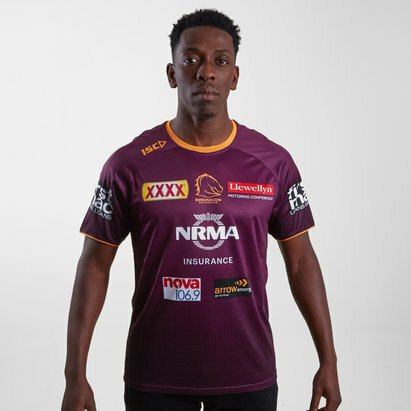 The team's main sponsor - NRMA Insurance - is in the middle of the shirt surrounded by further sponsors.